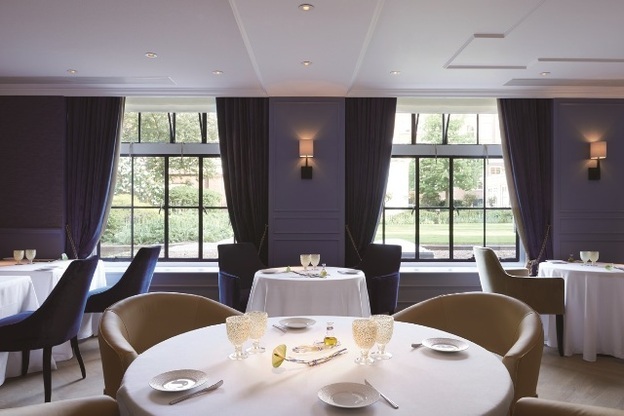 Given that hotels find it hard enough to get every guest into their signature restaurant, it’s saying something that Librije’s Zusje has made the Waldorf Astoria Amsterdam a dining, as well as sleeping, destination within less than a year of opening. Thank young chef Sidney Schutte, who before he was 30 had helped the restaurant from which the restaurant takes its name earn its third Michelin star. But after progressing from sous-chef to executive chef at De Librije and being named best chef in the Netherlands, Schutte gave it all up to travel around Asia. 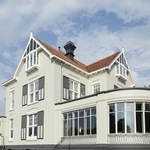 When Hilton bought and renovated six exquisite 17th century canal houses to create Amsterdam’s Waldorf Astoria, they knew they had to do whatever it took to get Schutte back. 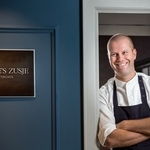 And their reward was an almost instant two Michelin star rating for Librije’s Zusje, which pays tribute to the restaurant upcountry in the Netherlands where the maestro cut his culinary career teeth. 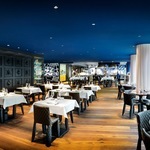 Although the room on the hotel’s garden level is quite traditional, clubby even, the food is all bells and whistles, as one taste treat after another tickles the tastebuds in most unexpected ways. Like the “waffle” of crisp chicken skin stuffed with bacon and raisins, and the jellyfish, surely an idea acquired during Schutte’s stint in Hong Kong, which melds with foie gras in the final of several canapes served with a glass of Henriot Champagne. 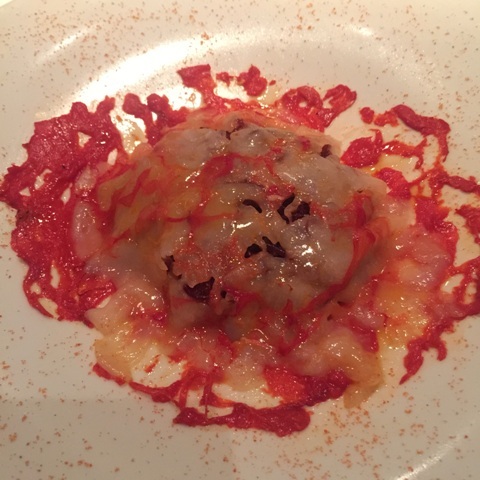 But there’s nothing remotely Asian, or for that matter Dutch, in the signature carabinero, a giant shrimp served raw as carpaccio atop crispy short ribs zinged up with a coulis of roasted red papper, watermelon and ginger which sits like a vibrant artwork on the base of the plate. This second of four main dishes was the quirkiest and surprisingly served cold – but so delicious, the restaurant has been forced to keep it on the menu since the outset at the request of regulars. It was good to see some of Holland’s finest cheeses – there is so much more to the national offering than Edam and Gouda – showcased on a glass-domed cheeseboard. A taste was so worth making room for before a divine dessert of egg custard showered with shavings of costly white Alba truffle; a fitting end to a simply glorious and unforgettable meal. Schutte’s genius can also be enjoyed to a less showy degree at the hotel’s Goldfinch Brasserie, and all guests get to enjoy the beautiful Librije’s Zsuje dining-room for breakfast – where they can at least get tucked into to some of that fine Dutch cheese.